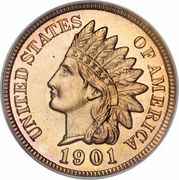 1 Cent "Indian Head Cent"
Liberty with Indian headdress bearing the word Liberty. James Barton Longacre was an American portraitist and engraver, and from 1844 until his death the fourth Chief Engraver of the United States Mint. 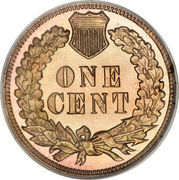 Minted for over 50 years, Indian Head cents are widely considered the most beautiful copper coins in American history. Introduced shortly before the War between the States in 1859, they were struck by the U.S. Mint until 1909. 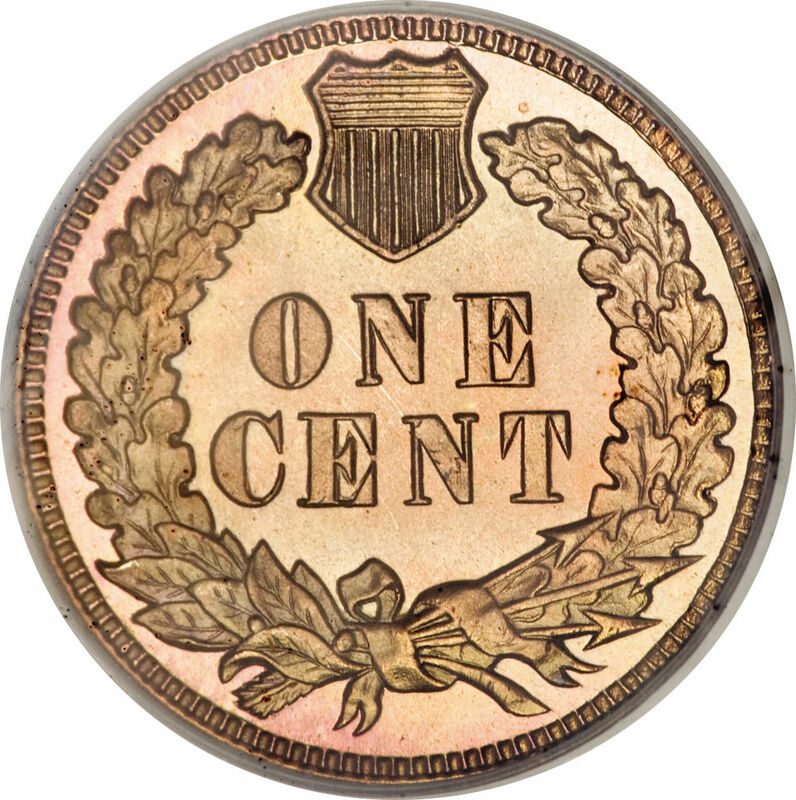 Designed by James Longacre, these historic cents were the nation's first coinage tribute to the noble, proud American Indian. His Longacre design also represented the first time that official United States Mint coins featured a distinctly American motif. Catalog › United States › 1 Cent "Indian Head Cent"